Piratz Tavern in downtown Silver Spring. Photo by davethegame on Flickr. Last weekend, pirate-themed bar Piratz Tavern received a makeover from the TV show Bar Rescue and re-opened as a more conventional hangout dubbed Corporate Bar & Grill. While host Jon Taffer and many customers say it failed because of bad food and poor service, there are other factors that sunk this ship. For starters, Montgomery County makes it hard to open a bar. Every place that serves alcohol in the county has to buy it from the Department of Liquor Control, whose markups and bureaucratic delays result in higher prices for booze than in surrounding areas. The county also requires that food make up half of all sales at establishments selling alcohol. And until a few years ago, there was a limit on how many liquor licenses a single owner could hold. These restrictions make it difficult and expensive to run a bar, which encourages owners to locate in areas where there's already a bar scene with a guaranteed customer base. Hence, there are lots of bars in Bethesda and relatively few elsewhere. Yelp counts 25 bars in downtown Bethesda and just 9 bars in downtown Silver Spring, including Babe's Sports Bar, which closed earlier this month. And both pale in comparison to Clarendon, which with 44 bars has the highest number of any neighborhood outside the District. This hurts bars in other parts of Montgomery County, who lose customers just by not being where all of the other bars are. It's especially hard for bars like Piratz Tavern. Though I've enjoyed myself thoroughly each time I went there, I can safely assume that not everyone wants to go to a bar and drink grog and sing sea shanties. Piratz was a niche business, like a Korean restaurant or a record store, reliant on a small portion of the general public for their customer base. Niche businesses need a lot of people coming to the area to ensure that enough of them want what you're selling. That requires a high population density, like in the Akibahara "geek ghetto" in Tokyo, or a concentration of businesses serving a niche population, like Annandale, whose 900 businesses catering to Koreans make it a destination for Greater Washington's Korean community. When you have a lot of people coming to your area, niche businesses can thrive. But in Silver Spring, where the bar scene and thus the pool of potential customers is very small, anything too unusual will get squeezed out. 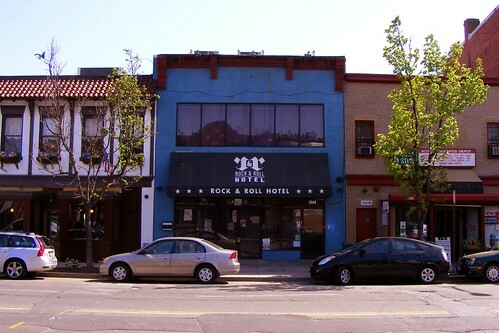 Bars along H Street NE. Successful nightlife districts offer visitors lots of choices for dinner, drinks, and entertainment options. That's why Joe Englert purposely opened several unique venues at once along H Street NE in the District. He provided lots of reasons for lots of different kinds of people to come there, drumming up a substantial bar scene in a short period of time and helping to revitalize the neighborhood, which in turn produced more bars and restaurants. Silver Spring could do the same if Montgomery County made it easier to open a bar here. Making the area a bigger nightlife destination could draw business to existing bars while encouraging new bars to open. It could also provide enough customers for niche bars like Piratz Tavern. Not only that, but it could also make the area safer, getting people on the streets at night when the sidewalks are normally empty. Piratz Tavern didn't just fail because it was a pirate-themed bar. It failed because there aren't enough bars, pirate-themed or otherwise, to create a critical mass of bargoers in Silver Spring. Unless things change, the new Corporate Bar & Grill will struggle as well. It seems like most people I talk to in the DTSS area don't like the liquor laws here. So, how do we go about getting them changed? How sad! I loved going to Piratz w/my kids and having them watch a DVD in the little kids' nook while I enjoyed a relaxing sangria. Why don't people open more child-friendly bars? (I know that sounds weird...perhaps someone can come up w/a better term?) Aren't parents who want to have fun a niche market? All true, but you have completely ignored the overwhelming issue that caused Piratz Tavern to fail: they had absolutely horrible service/food/prices/value for the $$. I don't care favorable the liquor laws are or if there is a critical mass of nearby bars: if customers are ignored and do not perceive a value, they will not return. What could have been a very clever concept was run into the ground by inept management (it doesn't matter how much your "heart" is into it). The County earns a nice profit from its monopoly on wholesale liquor sales. If the County were forced out of the liquor business, what County services would you propose cutting to offset the reduced revenue? Schools? Police? Fire? Libraries? etc., etc. Or are you willing to pay higher taxes to fund County services at their current level if the liquor revenue is lost? I figured everyone else is going to talk about Piratz' lacking service (which I never personally experienced in the several times I went), so why not talk about other factors that went into their failure? I don't know, maybe if it were easier to start a bar or tavern (or a store that sells alcohol) in Montgomery County, the government could receive additional tax revenues that are currently going to Arlington or DC, where it's much easier to do so? Presumably the county would make up a lot of the lost taxes on liquor in increased sales tax and increased property tax from our real estate becoming more valuable. The other night, for instance, I went to DC to go to a bar. It's also hard to get my friends from DC to come out to Silver Spring. Frankly, DC has better bars, and it's impossible for our county to compete with DC right now. And if the increased sales tax and other taxes didn't make up the difference, I'd be willing to pay higher taxes, although I do think some of the wage increases in the last five years for teachers were out of line. But having a monopoly that hurts business, property values and residents' quality of life is not justifiable. That's called bad government. I agree with @woodsider. The one time I tried to go to Piratz, I couldn't get service. I've never seen a place so poorly run (and why was there never any activity in the part of the restaurant that faces the street?). While liquor laws are hurting that place (like the inability to use their new self-service taps), the most liberal liquor laws in the world couldn't save that place from what it was before. If Piratz/CBG wants to succeed, they'll need much better service, food and drinks. I figured everyone else is going to talk about Piratz' lacking service (which I never personally experienced in the several times I went), so why not talk about other factors that went into their failure. 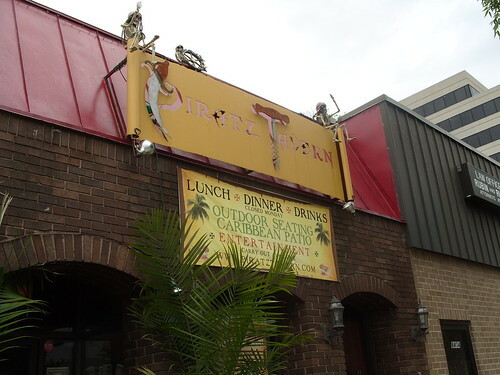 Piratz Tavern didn't just fail because it was a pirate-themed bar. It failed because there aren't enough bars, pirate-themed or otherwise, to create a critical mass of bargoers in Silver Spring. There are dozens of successful restaurants with bars in DTSS--all with the same challenges at Piratz Tavern, who drove prospective new and repeat customers away with their awful service (and reviews) and lack of value. So, if it is all the liquor law's fault, how do you explain Sidebar? They put out great craft cocktails and seem to attract a lot of business. The drinks aren't cheap ($9-12), but you certainly pay less for a quality drink there than you would at a comparable place in DC ($10-15). Jay, it's not ALL the liquor law's fault, but without a doubt MoCo goes out of its way to make it exceedingly hard for bars to exist/succeed. My guess is that Sidebar can only exist in its current form because it's a joint venture with Jackie's - there's no way 50% of Sidebar's sales are food. Hence why it's an anomaly. 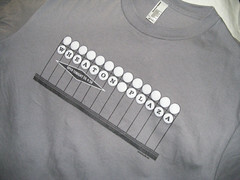 I HATE the lack of bars in Silver Spring - it's the one thing that keep me eyeing Arlington and DC. I HATE that the county council forces me into this predicament. They're completely and utterly out of touch on this issue and without a doubt it costs the county dearly. I enjoyed Piratz, and never experienced any major problems with the service. I suspect that part of the problem was that they did not seem to know what they wanted to be - was it supposed to be a family-friendly restaurant-bar (with the pirate theme played straight), or a bar that served food but was mainly about the drinking and aimed at adults (with the pirate theme intended to be ironic)? FYI, it is the norm for most jurisdictions to require around 50%food sales per alcohol sales. DC is 45%, http://abra.dc.gov/DC/ABRA/Education+and+Services/Forms#1. And, I think, Fairfax has similar laws on their books. I don't care for the liquor laws in this area. I could really care about bars in the area since the bar scene isn't really my thing. What really bugs me is I can't buy beer at the grocery store. I always pick up up beer when I'm Virginia because it's much cheaper there. Unfortunately, we can complain all we want. Things aren't going to change. Politicians just don't run a campaign promising changes to our liquor laws. The last liquor politician we had was Dana Dembrow - actually opposed the ban on open containers in cars. Anyhow, I think marijuana will be legalized before that we see changes in our liquor laws. Let me fill you in on a few things. The claim that the DLC is more expensive than everyone else is absolutely false. Virginia is a control-state, for liquor at least. That means the whole state has to buy from The Man. A handle of Jack or Makers Mark in Virginia for example, is typically twice as much as it is in MoCo, and the other neighboring areas don't fair much better. Wine and beer are ambiguous, but if wine is on sale in MoCo, it often beats everyone out. There are people who love the DLC, and people who hate it. The County needs to change a few laws that are aimed at restaurants, but the system isn't all bad. It puts a limit on the number of liquor stores in the county (as opposed to letting them sprout up everywhere. Look how many hair salons DTSS has atm), the prices are the same everywhere (there is no way you could charge the same amount for Jack in Burtonsville and Potomac under a private system), inventory can be transferred to a location closer to you if you request it, and Restaurants get a special price from the county, and are tax exempt. There were talks about selling the DLC to a private company, which would have really screwed things up, and I doubt the restaurants would be able to buy directly from distributors any cheaper than the Counties bulk buying. There is also state laws, the price of rent in a given community, and the fact that there is strong competition in the region. Everyone seems to feel that the liquor laws were to blame. And if you relaxed those laws maybe you will have to raise taxes other ways to pay for your county services. What would happen if all the Bars closed down making the county dry; how would the county survive maybe cutting services closely watching their spending. What lame excuses; blame the county laws, poor service or food. Business fails because of management or the economy. You want change in the economy and the laws Then VOTE OUT ALL INCUMBENTS. I've been to Piratz many times. Never had a problem with the service. As for quality of the food, as with all restaurants, some things work, some don't. Either way, the place was almost always packed on the weekends, so someone must have been getting decent food and service and coming back. My understanding from the owner is that the lunch and weeknight business wasn't what it needed to be. As for Casey's comments, it was supposed to be both family friendly (out front) and a bar (in the back). The servers were in character as pirates or the kind of bar wenches you would have found in a tavern during the time of pirates. Finally, for anyone who watches Bar Rescue, the show raped this place. They made tons of promises they did not keep. The 36-hour makeover they did is already falling apart--the paint is peeling, the floor tiles are coming up, and they damaged ceiling tiles during the revamp. They did not deliver promised kitchen and bar upgrades. The self-serve robotaps they installed were leased, and they never obtained the correct licenses for them, so the things sit useless. They filmed the bar on a Friday night when everyone was happy and the bar was packed, but when that footage didn't show unhappy customers, they brought in ringers during a weeknight and paid them to be the customers from hell that will get a rise out of the waitstaff. They told the staff to play certain roles for the cameras, then fired one for playing the role he was given, just for the sake of "good" TV. So feel what you will about Piratz Tavern, but don't believe that Bar Rescue is anything close to "reality" TV. I find it amusing that people who only visited Piratz once feel qualified to discuss it. I always enjoyed going to Piratz. I never had bad service. In fact, the staff was always friendly to me. The drinks were good, and while the food was meh, it was fine for snacking. Bars don't always need to be a place for you to get your meals. I think that the people who had bad experiences at Piratz are people who wouldn't like something different like that to begin with. It probably showed. Anyway, back to the main topic: MoCo's liquour laws are oppressive and ridiculous. Does anyone else remember that when Chipoltes opened, it was going to offer frozen margaritas? So much for that. "Bars don't always need to be a place for you to get your meals." Piratz wasn't a bar by any definition. They served like 4 beers and had a kiddy play area. Maybe if the premise of your statement was correct then I could go along with the rest of it. Depends on your definition of bar. Aside from bottled beers, they also had a wide variety of rum. Since I usually went only for the rum and an occasional beer, I couldn't tell you what else they had, but by the usual definition, a place that sells beer and hard liquor drinks is a (wait for it) bar. As most of y'all know, I'm currently at school in Pennsylvania, which is a control state. I generally think that MoCo does a better job of liquor control than PA does. I don't think the Department of Liquor Control should be abolished, but I do think their restrictions could be loosened. I also take issue with @Alex's assertions that Silver Spring somehow isn't comparable to Bethesda. Like Bethesda, Silver Spring is a major job and retail center, served by Metro, and with a large daytime (office) and evening (residential) population. Like Bethesda, Silver Spring is a regional draw. What, families don't live in the neighborhoods around Bethesda? People who go to the bars in Bethesda don't all live in the immediate area, and the same goes for Silver Spring. Foot traffic is a big, issue, however. Silver Spring could use more of it. Part of that comes from having additional workers and residents in the area (especially residents, and especially apartment dwellers, as many of them will be young professionals with disposable income). And another part of that comes from having a concentrated area of activity. Silver Spring's "bars" - Sidebar, Piratz/Corporate, McGinty's, and so on - are all spread out around the CBD, making it hard to find them or to "hop" from one to another. Were they in a concentrated area, those bars could draw from the same pool of customers and support one another. 2. Comparing DTSS to DTB is apples and oranges. Bethesda is simply laid out better for the kind of foot traffic that helps to create a nightlife friendly area. You could have hints of that in some areas of DTSS, but not at the level they have in Bethesda. 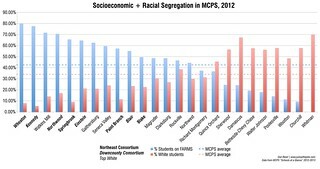 You also have a seriously high number of office workers in high-paying jobs concentrated in a six block radius. Lunch hour traffic alone could probably keep some of these places in business. DTSS just doesn't have that. 3. I don't know much about the County liquor laws, but I do know liquor is much cheaper here than anywhere else in the DC region. Trust me. I'm a liquor snob with a forever expanding home bar. We beat PGC, we beat DC, and we kill NOVA in terms of cheap booze. I don't know any specifics about how the laws relate to the business side of running a bar, but as a regular patron of several fine Montgomery County liquor stores, I say they keep doing whatever they're doing. My GF and I are moving to DC in a few months, and I will continue to buy all my liquor in MoCo because it really is that more cheaper. That being said, beer and wine do seem to be consistently cheaper in DC. 4. People always seem to overlook demographics when dreaming of Silver Spring becoming a nightlife mecca of cool bars. I've lived in 20901 since 2003 and from what I can tell, this area simply has a larger share of older people and families. DC is a younger, more singles type of place. Bars thrive there. In places where people move to start families and pick up hefty mortgages in quiet residential neighborhoods, the market for a bar district akin to H Street is simply not there, whatever the liquor laws. 5. Piratz failed because it was a lousy bar, with lousy service, lousy food, and a lousy beer selection. The place made almost anyone, outside of the bizarre minority of people who enjoy pretending to be old-timey pirates, feel awkward, embarassed and uncomfortable. Piratz failed because it was a lousy bar that most folks went to once and then never returned to. End of story. 6. Corporate Bar and Grill will likely also fail, and not because of the county liquor laws but because it's the same management and because as dumb as Piratz was, Taffer's remodeling is almost more ridiculous. That being said, it's a good location and someone will move in there with a decent concept (ahem, biergarten anyone?) and it will flourish. @Dan I agree that on the surface DTB and DTSS are quite comparable, but just from experience living in DTSS and working in DTB, there really do seem to be subtle differences that seem to add up to a bigger difference. However the biggest reason is the one you stated (and what I was alluding to) regarding the layouts. Bethesda is simply laid out better for foot traffic and the restaurants are extremely concentrated. I think the fact that Piratz is located across from QH and couldn't find a way to use that to its advantage just further proves that the biggest problem with Piratz was a theme with a very limited draw combined with poor service and weak beer and food. I'll tell you something, if you could get Roger Miller to shut down and reopen as something better (I swear that place must be a front, because it simply shouldn't still be in operation) and have Piratz/CBG close and reopen as a cool Biergarten, you'd have a nice three bar set-up along one street with a good Burmese place to boot. But even then, you'd have a bunch of darkened retail along Bonifant making it seem less enticing as a bar district. And you'd still be a few blocks walk along noisy Georgia Ave to get to Sidebar or Hellsworth. Again, the layout is just slightly wrong for something like Woodmont Triangle to quickly be established in DTSS. The layout isn't a given. Buildings change use over time. The streets generally remain in the same places (though several were eliminated in the redevelopment of DTSS), but you can make the sidewalks wider or more pleasant to walk on. And arguably Fenton Street, which is narrow and lined with low-to-mid-rise buildings, could become a nice restaurant/retail street in its own right. @Alex, Society will be opening soon. That'll be a nice little cluster of different night life vibes (Society, Quarry House, Olazzos, Corporate) practically next to each other. That's exciting! And you have Fire Station 1 and Jackie's a few blocks down Georgia Avenue as well. I really think that street could become a sort of "nightlife strip" for DTSS if properly nurtured. The one major issue that DTSS has is our superblock structure brought on by our above ground train tracks. Don't underestimate how much this impacts walking and people going out. Bethesda doesn't have this issue. South Silver Spring is where most of the new housing is in the area, especially of young people looking to out at night, but we have to walk a long way around to get to places on Georgia. We simply can't walk straight from East-West to Georgia, instead we have to either go all the way down to Collesville or go all the way down to East-West and that little road by the Veridian. This is an issue that isn't going away anytime soon. Eventually the land where the tracks is will become extremely valuable. It's possible that in a few decades the value of the land will allow us to tunnel the tracks or build over the tracks. Georgia has started to get a nice strip of restaurants, but I hope Georgia gets developed more. Most of those one-story buildings should be replaced by mixed-use buildings (some of the older, multistory buildings are worth preserving). It would also be nice to widen the sidewalks, allowing for restaurants to have more outside seating. It would be great if that George streetcar went up to the Silver Spring station, but I wouldn't hold my breath on that.